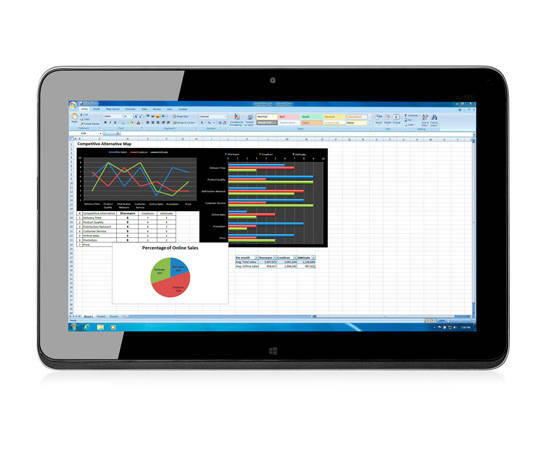 The HP Elite x2 1011 G1 is a highly portable detachable-hybrid tablet. Its battery life is one of the best in its class, and its performance on our productivity tests is solid. You'll need to download the latest driver, however, to avoid the touchpad glitches we encountered when detaching from and reconnecting the tablet to the keyboard. For a powerful Windows-equipped, detachable-hybrid tablet, we still recommend the Editors' Choice Dell Latitude 13 7000 Series 2-in-1 (7350), which has the same RAM, processor, and storage as the Elite x2, as well as about the same list price, but sports a higher-resolution screen, decent graphics, and good performance scores on our tests. The HP Elite x2 1011 has a lot to offer. It looks good, performs reasonably well for a system of its size, and its battery life can keep you working (and even having some fun) long after other portables would have sent you scurrying in search of an AC outlet. Its WiGig docking option, though not yet in the HP.com store at this writing in early September 2015, will offer a decent number of ports without adding to the size of the system, which is nice. The main obstacle to us telling everyone to buy an Elite x2 is its price; $1,629 as equipped (not including the WiGig dock) will buy a fully equipped Ultrabook with touch and even better overall performance. The Elite x2 has its excellent battery life and detachable tablet portion going for it over most Ultrabooks but even then we have trouble calling this a good value. The Elite x2 has however done more than enough to earn our overall recommendation for being a well-rounded product but only if you’re not particularly sensitive to price and place a high priority on having a dedicated tablet. 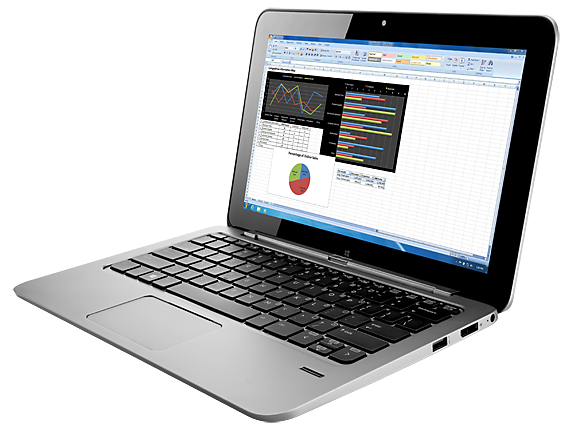 With its brilliant display, long battery life and great keyboard, the HP Elite X2 1011 provides much of what business users need in a 2-in-1. The Elite x2 is also durable and secure, unlike many consumer-focused hybrids. Priced at a steep $1,629, our configuration of the Elite x2 is $132 more than Toshiba's Portege Z20t, which is faster, and has a longer battery life and a larger screen. Luckily for the Elite x2 1011 G1, its excellent performance, stellar display and lengthy battery life don't just soften the blow of its weird design quirks - they make it a decent option for buyers in a market already populated with similarly powerful, versatile convertibles. 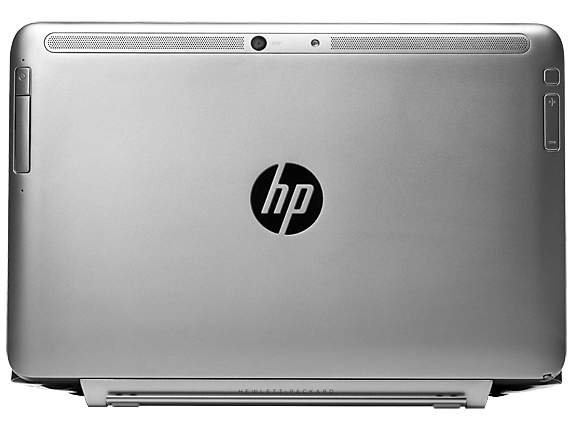 In many ways, this is a typical HP business product in that it’s sturdy in build and functional in design. If you’re after a 2-in-1 that feels sturdy in its construction, and you don’t mind the extra weight that the sturdiness brings, then the Elite x2 1011 G1 will tick that box. If you want a 2-in-1 that’s manageable and inclusive of encryption features, then the Elite x2 1011 G1 will tick that box, too. 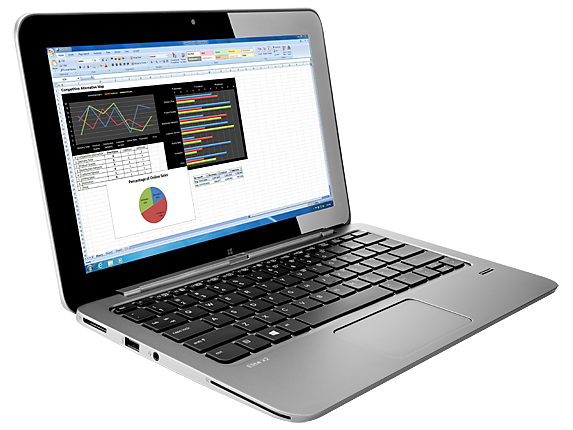 Model: The HP Elite x2 1011 G1-L8D67UT is a beautifully designed laptop that doubles up as a tablet. The entire device is durable and comes with an easy to manipulate hinge system. 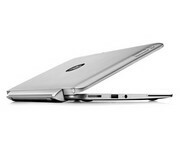 At first glance, the device looks like a professional yet conventional laptop with a comfortable tile keyboard and touchpad surrounded by the silver chassis. The hinge remains obscure unless the user decides to remove the base. At the back of the tablet are the power button, volume rockers and a primary 5 MP rear camera. 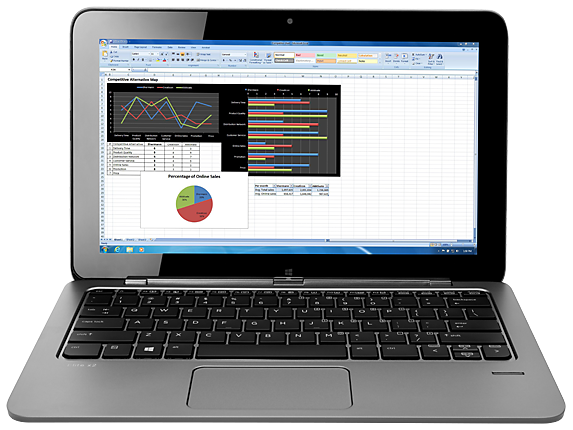 The HP Elite x2 1011 G1-L8D67UT comes with an 11.6 inch ultra-slim LED-backlit BrightView touchscreen with FHD resolution next to the 2 MP webcam. Running on Windows 8.1 Pro 64-bit, the device comes ready with an Intel Core M-5Y51 processor clocked at 1.1 GHz, 4 GB LPDDR3 SDRAM, Intel HD Graphics 5300 GPU and an internal storage of 128 GB M.2 SSD. Other features on-board include the docking connector to base, a Display Port, a USB 3.0 port, a USB 3.0 port with charging capability, a microSD slot and a micro SIM slot. This allows the device to be a perfect on-the-go companion utilizing cellular connectivity to remain connected to the Internet. Battery life is impressive with up to 14 hours of usage time provided by dual tablet and keyboard base batteries. 63.5%: Such a bad rating is rare. There exist hardly any notebooks, which are rated worse.